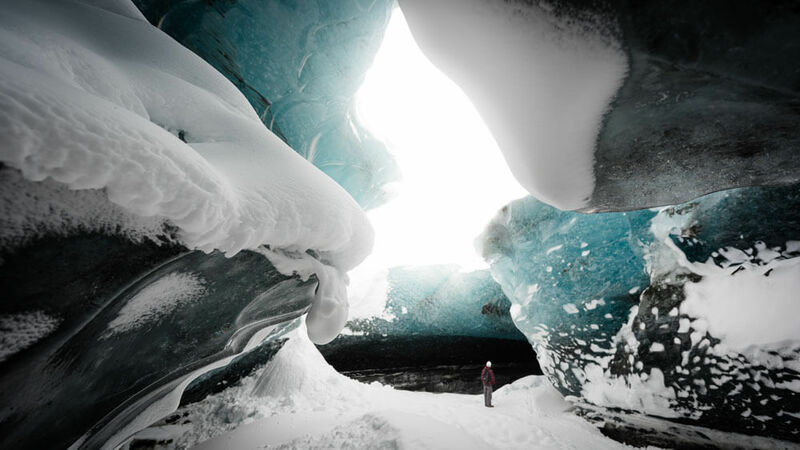 You will get the opportunity of a life time to enjoy one of the world’s greatest wilderness, Iceland’s largest glacier. Meeting Point: At Jökulsárlón-Glacier Lagoon 30 minutes before departure time (GPS Coordinates 64.0478597,-16.1789879) – View on Google Maps HERE. Bring with you: Warm and waterproof jacket and pants, hiking boots, headwear and gloves. If the tour is canceled for some reason, i.e. due to weather, customers get a full refund. Required participants per tour are two persons. 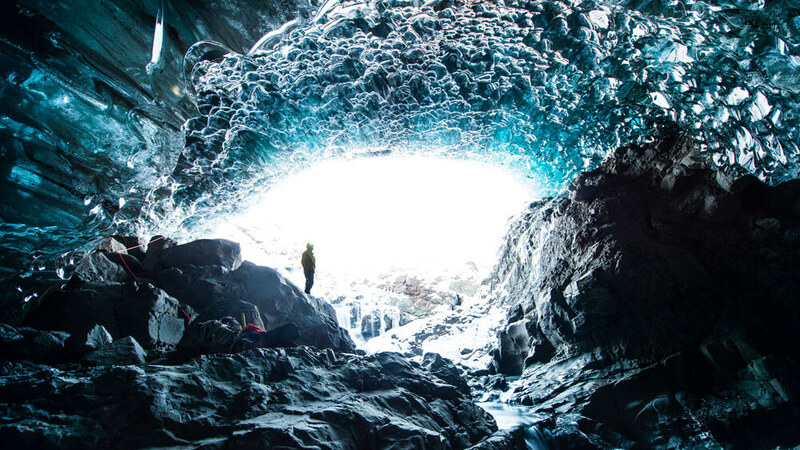 You will get the opportunity of a lifetime to enjoy one of the world’s greatest wilderness, Iceland’s largest glacier. 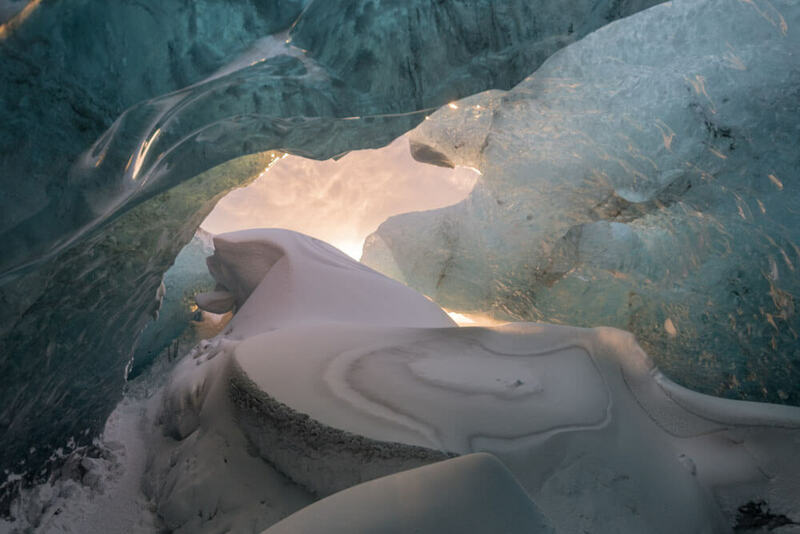 You are driven in a specially modified Super Jeep to the glacier, where you get to explore the glacier environment, enjoy a view out of this world, go into and underneath the glacier and experience the glacier’s beauty from the inside! Glacier Journey is truly a unique experience. An experienced local guide leads the way and shares a wealth of fascinating information about glaciers, icefields and their impact on our environment during our journey, making sure everyone enjoys themselves to the fullest. 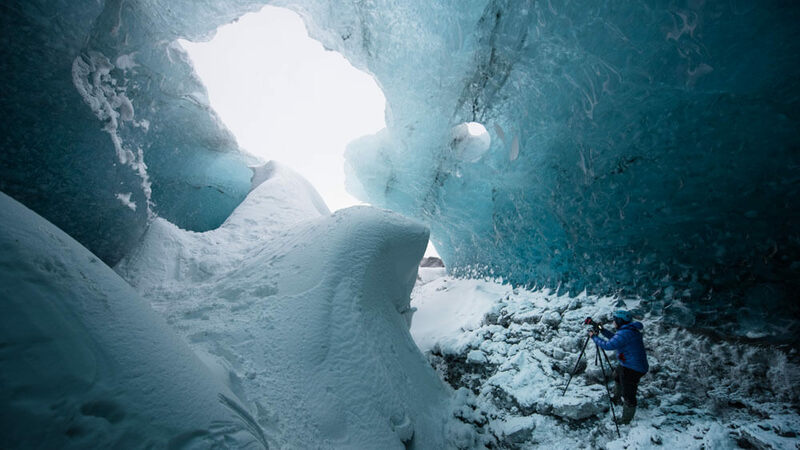 Sometimes we are not able to access the ice caves due to the weather. That´s something we can´t control, unfortunately! 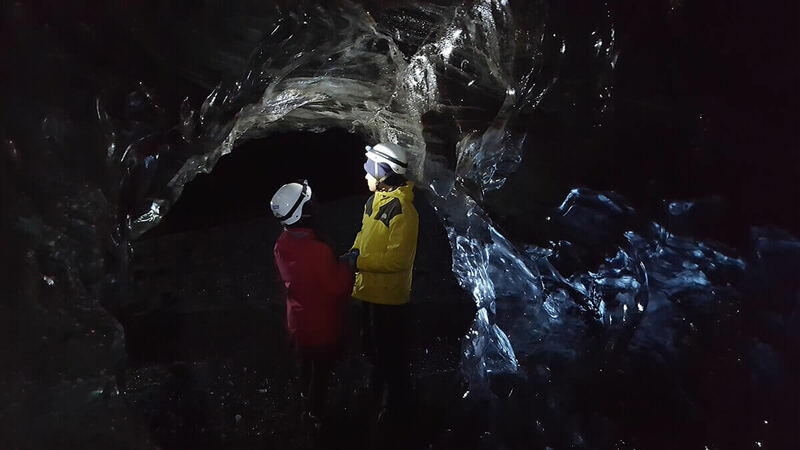 If the rain has been intense the previous days before the tour, the cave will need to evacuate the water, since the ice cave is the plumbing system of the glacier. 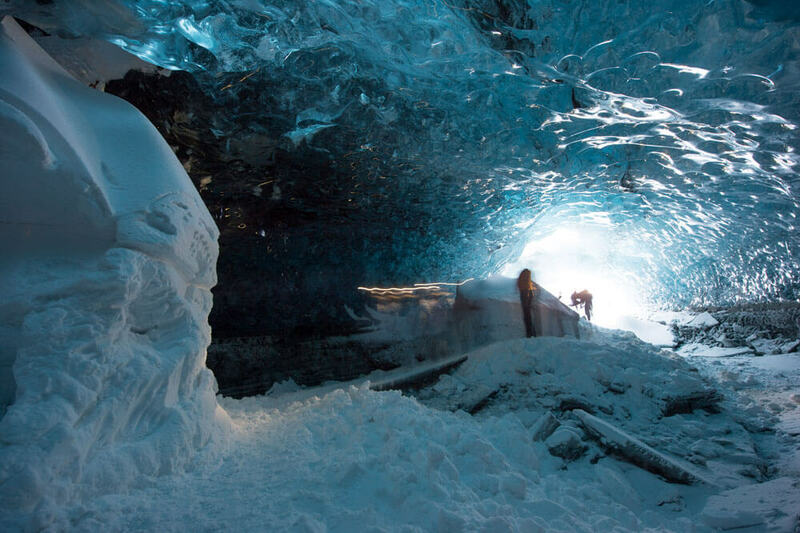 If that happens, we will go the extra mile and explore other cave-like formations such as glacier arches and mourns. 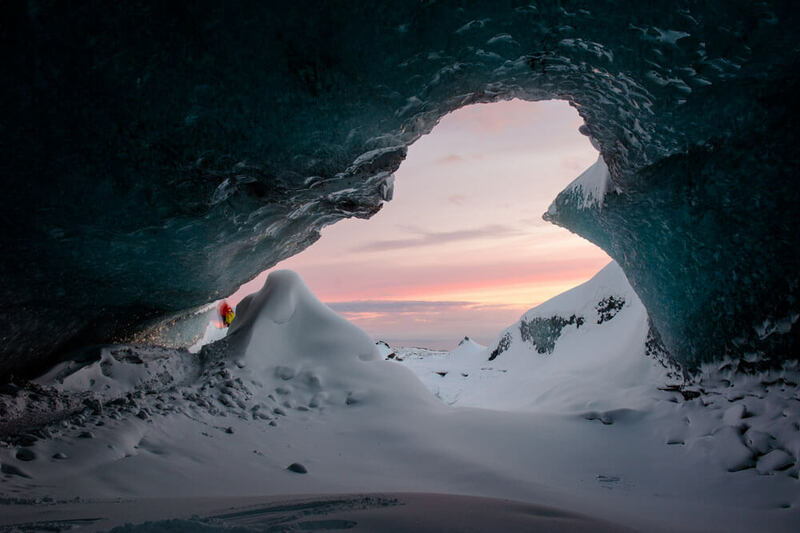 We will try to go as close to the ice cave entrance as possible and hike around the area to create a memorable adventure.